Organic Tapioca (Syrup and Soluble Fiber), Organic Pea Protein, Organic Almond Butter, Organic Vegetable Glycerin, Organic Chocolate Coating (Organic Cacao Nibs, Organic Erythritol, Organic Tapioca Fiber, Organic Cocoa Butter, Natural Licorice Flavor, Organic Stevia Extract (leaf), Organic Sunflower Lecithin, Organic Vanilla Bean Extract), Organic Sprouted Brown Rice Protein, Organic Pea Crisps (Organic Pea Protein, Organic Tapioca Starch), Organic Yacon Syrup (root), Organic Cacao, Organic Carob, Organic Acacia Fiber, Organic Flavors, Sea Salt. Organic Tapioca (Syrup and Soluble Fiber), Organic Pea Protein, Organic Almonds, Organic Vegetable Glycerin, Organic Sprouted Brown Rice Protein, Organic Yacon Syrup (root), Organic Pea Crisps (Organic Pea Protein, Organic Starch), Organic Cacao, Organic Carob, Organic Acacia Fiber, Organic Flavors, Sea Salt. Organic Tapioca (Syrup and Soluble Fiber), Organic Peanuts, Organic Pea Protein, Organic Vegetable Glycerin, Organic Chocolate Coating (Organic Cacao Nibs, Organic Erythritol, Organic Tapioca Fiber, Organic Cocoa Butter, Natural Licorice Flavor, Organic Stevia Extract (Leaf), Organic Sunflower Lecithin, Organic Vanilla Bean Extract), Organic Pea Crisps (Organic Pea Protein, Organic Tapioca Starch), Organic Yacon Syrup (root), Organic Sprouted Brown Rice Protein, Organic Peanut Flour, Organic Acacia Fiber, Organic Flavor, Sea Salt. Organic Tapioca (Syrup and Soluble Fiber), Organic Pea Protein, Organic Almond Butter, Organic Vegetable Glycerin, Organic Yacon Syrup (root), Organic Sprouted Brown Rice Protein, Organic Pea Crisps (Organic Pea Protein, Organic Starch), Organic Acacia Fiber, Organic Almonds, Organic Flavors, Sea Salt. 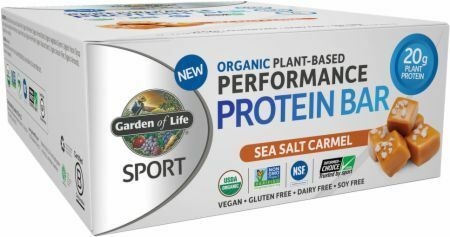 Perfect for those on-the-go, Sport Performance Protein Bars provide a quick, convenient source of protein plus a healthy dose of fiber.